On Wednesday, the Riigikogu passed the state budget of 2014, with a volume increased by nearly five per cent in comparison to this year. For the first time, the volume of the state budget exceeds the boundary of eight billion. According to the Bill, the revenue of the coming year’s state budget totals 8.02 billion euro, and the expenditure ‒ 8.06 billion euro. At the voting, 59 members of the Riigikogu were in favour of the passage of the State Budget of 2014 Act (490 SE) and 41 were against. Jaanus Tamkivi, Kaia Iva, Sven Mikser and Kadri Simson took the floor during the debate. 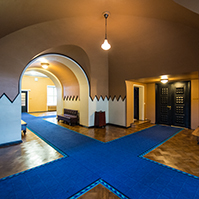 On Wednesday, the Riigikogu also passed the Act on Amendments to the Value Added Tax Act and the Accounting Act (493 SE), which establishes the annex to the value added tax return. It will reflect the data of the invoices issued to and received from legal persons or sole proprietors or state, rural municipality or city authorities for goods and services with the 20 per cent and 9 per cent value added tax rate. This will be the case when the total amount of invoices exclusive of value added tax is at least 1000 euro per transaction partner in the taxable period. The threshold based on the transaction partner will be calculated separately for purchase invoices sales invoices. A taxable person with limited liability will not submit the appendix to the value added tax return. 48 members of the Riigikogu voted in favour of the passing of the Act and 23 members were against. The Riigikogu also passed the Sworn Translators Act (460 SE) which defines the legal status of a sworn translator and gives content to the concept of the professional activity of a sworn translator. According to the Act, a sworn translator is a person who provides the service of translating documents by way of professional activity and performs other duties related to translation in the cases provided by law. The professional activity of a sworn translator includes translation of documents in the translation direction for which a professional certificate of a sworn translator has been issued to him or her, translation of Acts and international agreements as a public duty as well as certification of copies and print-outs and consultation of persons within the framework of translation of documents. 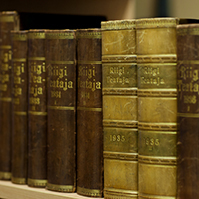 94 members of the Riigikogu voted in favour of the passing of the Act. The Riigikogu passed six Resolutions which extended the participation of members of the Estonian Defence Forces in foreign missions and gave the mandate for using members of the Estonian Defence Forces in international peacekeeping missions in Lebanon, Israel, Egypt and Syria, Afghanistan and Kosovo in 2014. In addition, the Resolutions passed in the Riigikogu allow the deployment of members of the Estonian Defence Forces from 1 January until 31 December 2014 in the European Union training mission and the UN peacekeeping mission in Mali, as part of the NATO Response Force, as well as in the work of the international military headquarters of an operation led by the North Atlantic Treaty Organization or the European Union. 1. 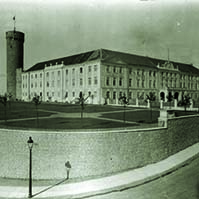 65 members of the Riigikogu voted in favour of the Resolution of the Riigikogu “Use of the Defence Forces in the Performance of the International Duties of the Estonian State in the Work of the International Military Headquarters of an Operation Led by the North Atlantic Treaty Organization and the European Union” (531 OE). 2. 60 members of the Riigikogu voted in favour of the Resolution of the Riigikogu “Extension of the Time Limit of the Use of the Defence Forces in the Performance of the International Duties of the Estonian State in the Peacekeeping Mission in Afghanistan” (528 OE). 3. 56 members of the Riigikogu voted in favour of the Resolution of the Riigikogu “Extension of the Time Limit of the Use of the Defence Forces in the Performance of the International Duties of the Estonian State in the Post-Conflict Peacekeeping Mission in Lebanon, Israel, Egypt and Syria” (527 OE). 4. 54 members of the Riigikogu voted in favour of the Resolution of the Riigikogu “Extension of the Time Limit of the Use of the Defence Forces in the Performance of the International Duties of the Estonian State in the European Union Training Mission and the UN Peacekeeping Mission in Mali” (526 OE). 5. 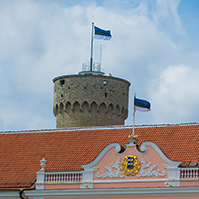 55 members of the Riigikogu voted in favour of the Resolution of the Riigikogu “Use of the Defence Forces in the Performance of the International Duties of the Estonian State in the Composition of the NATO Response Force” (530 OE). 6. 54 members of the Riigikogu voted in favour of the Resolution of the Riigikogu “Extension of the Time Limit of the Use of the Defence Forces in the Performance of the International Duties of the Estonian State in the Peacekeeping Mission in Afghanistan” (525 OE). The Riigikogu ratified agreements for the avoidance of double taxation and the prevention of fiscal evasion with respect to taxes with Uzbekistan, Bahrain and Thailand. 1. 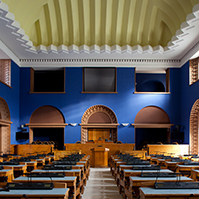 41 members of the Riigikogu voted in favour of the Act on Ratification of the Convention between the Government of the Republic of Estonia and the Government of the Republic of Uzbekistan for the Avoidance of Double Taxation and the Prevention of Fiscal Evasion with respect to Taxes on Income and on Capital (523 SE). 2. 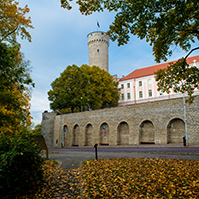 38 members of the Riigikogu voted in favour of the Act on Ratification of the Agreement between the Government of the Republic of Estonia and the Government of the Kingdom of Bahrain for the Avoidance of Double Taxation and the Prevention of Fiscal Evasion with respect to Taxes on Income (537 SE). 3. 41 members of the Riigikogu voted in favour of the Act on Ratification of the Convention between the Government of the Republic of Estonia and the Government of the Kingdom of Thailand for the Avoidance of Double Taxation and the Prevention of Fiscal Evasion with respect to Taxes on Income (538 SE). Three Bills passed the second reading. The aim of the Bill on Amendments to the Law of Obligations Act and the Consumer Protection Act (505 SE) is to transpose into Estonian law the relevant European Union directive on consumer rights. The Bill on Amendments to the European Parliament Election Act (520 SE) changes the arrangements for the exercise of the right of a national of a Member State to stand as a candidate. The aim of the Bill on Amendments to the Creative Persons and Artistic Associations Act and Amendments to Other Associated Acts (522 SE) is to mitigate the problems relating to the health and pension insurance of freelance creative persons in connection with the particularity of their activities and receipt of the income received from creative activity. The Social Democratic Party Faction moved to suspend the second reading of the Bill; at the voting, 28 members of the Riigikogu were in favour, 47 were against and 1 member abstained.